"Welcome to Texas Paradise! 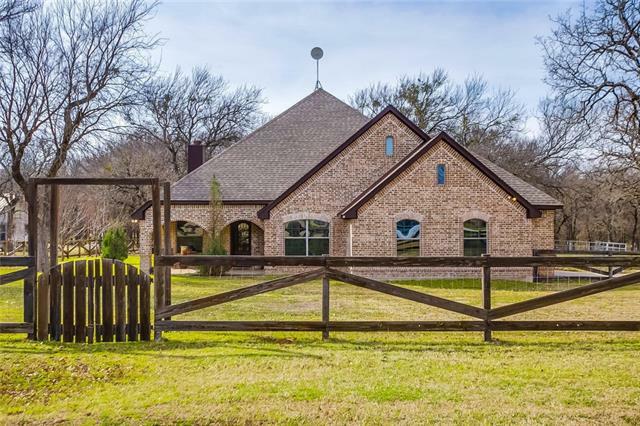 Impressive is an understatement....with 20 acres this ranch will WOW you! Chef's Gourmet kitchen, with professional appliances and tons of space, no detail overlooked! Owner's Suite is stunning with a large sitting area, fireplace, oversized closet, and a master bath that you need to see to believe! Upstairs media is equally impressive with custom imported doors as you enter, hidden microwave, fridge, and plenty of seating space for your next preview party! Unbelievab"
"Paradise awaits on this 32.666 ac. rural bit of heaven. 2010 built home adjoins a 3-bay shop with hookups for a large RV. Fenced & cross fenced for cattle, horses, goats, chickens, rabbits or whatever critter you desire, with water service to all pens & upper garden. Bring your fishing pole as the pond is home to cats, crappie & more. The exquisite shop is worthy of exotic cars, is heavily insulated, has dual electrical service for welding, water and more. Shipping containers add to storage capa"
"Don't pass up an opportunity to own a ranchette tucked in the privacy of Paradise. 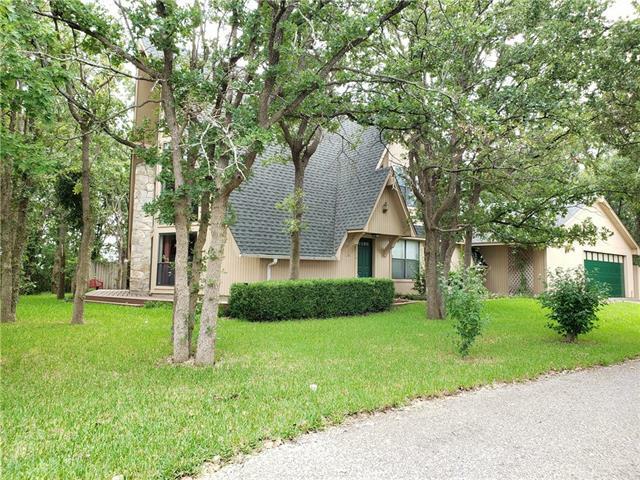 Spacious 3-bedroom, 2.5 bath home has plenty of room for entertaining whether in the large living area featuring a stone fireplace or by the pool. This home also has a big covered front porch and a covered patio in back. Separate 1200 sq. ft. building with full bath and kitchenette could be a gameroom or living quarters. Property also features a tank, a 2400 sq. ft. shop, a 1500 sq. ft. hay barn, a welding sho"
"Truly Unique A-Frame home on 35 acres with in ground spa and 24x36 shop with electric. Great for horses, cattle, hunters ! Tons of possibilities ! Enjoy the Texas sunsets on the screened in porch, the deck or from the inground spa ! More Pictures come soon !" "Bring your horses, chickens, ducks, and kids! 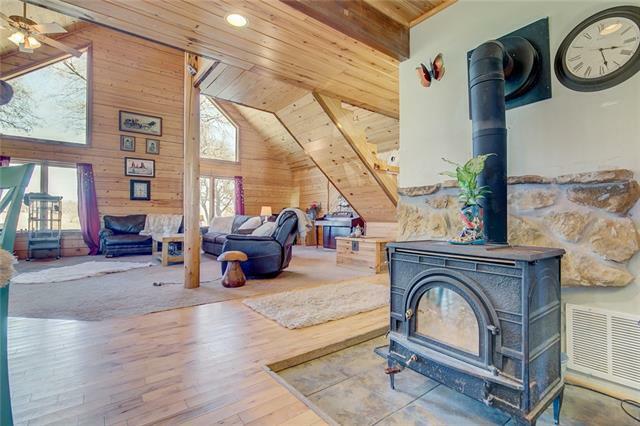 Here is your chance for country living in a beautiful 3 bed 2 bath log home! This home has custom cedar cabinets and wood work, a copper roof with lifetime warranty, a new AC, a wood burning furnace, custom copper counter tops in the kitchen, a covered porch and balcony, spacious bedrooms, and much more. 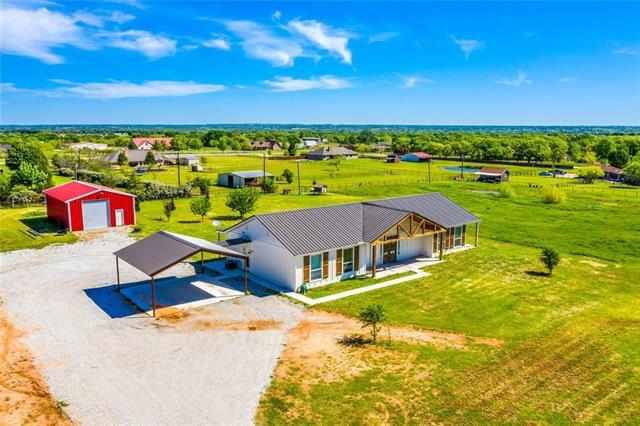 The property has an above ground pool, horse stables, concrete padding for additional horse stables, a 30 x 40 Mueller workshop with electricity (w"
"2018 Completed construction custom metal frame home on 4.2 acres w upgrades galore. 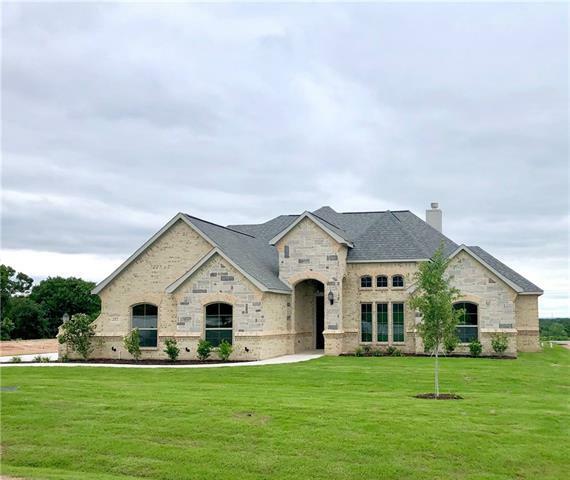 Engineered hickory wood flooring throughout, beamed ceilings, neutral paint colors, open floor plan w commercial kitchen w huge island & bar seating, 2 stainless 5 burner gas cooktops, 4 ovens, full size ss freezer and fridge & deep farm sink. Huge pantry w custom shelving & storage. 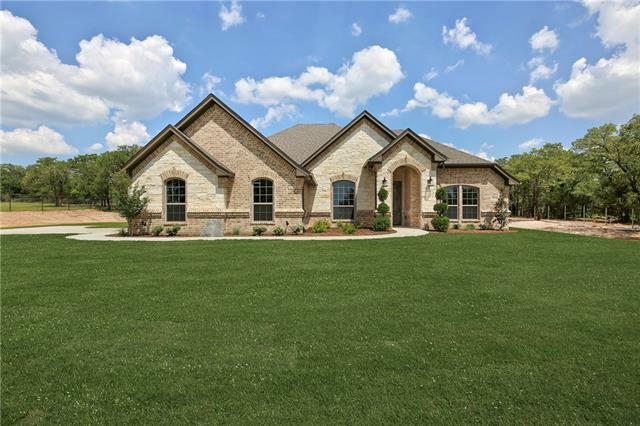 This home is luxe w custom lighting, lots of windows, sliding barn doors, quartz counters in master bath, oversized shower w dual h"
"Rustic Cabin in Texas? This property gives you just that! Built in 2004, this home is nestled on 11.04 acres in Paradise and features 2 ponds, shop with electricity and endless possibilities! The house is a well built frame home finished out to aesthetically to look like a log cabin with log siding inside and out and corrugated tin over top of taped and bedded drywall. The home is the ultimate rustic cabin you have been waiting for! The main floor features kitchen, dining room, sitting, living r"
"One of kind must see ! Beautiful Brick Home on over 6 acres with stock pond ! This lovely home boast 3 bedrooms, 2 full baths, office, formal sitting, dinning, huge laundry room, covered front and back porches. Custom cabinets, hand scraped wood floors, granite and wood burning fireplace that goes all the way to the ceiling. Sit on the back porch and watch the sunset in Paradise. 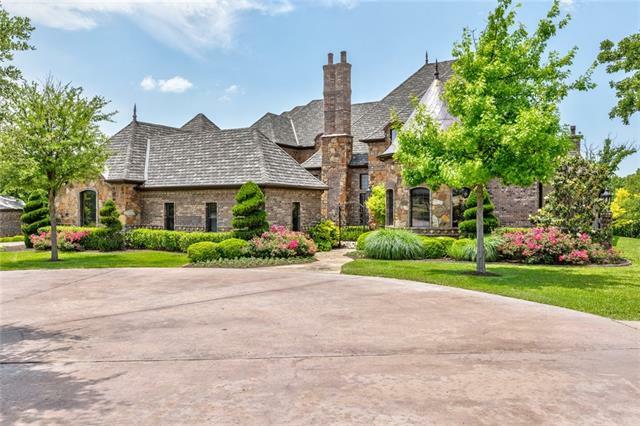 Close to 114 for easy commute to metroplex." 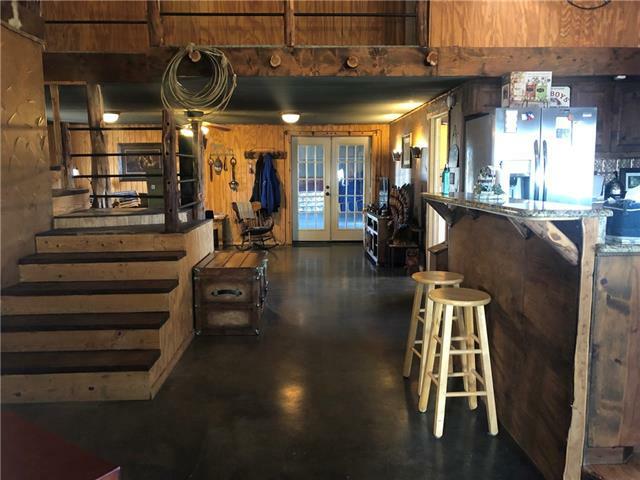 "GREAT OPEN SPACE Living, Dining and Kitchen area with windows and closets galore on 7.5 acres with covered walkway to large shop with enclosed covered parking and 2 - 12 x 12 horse stalls. Some of the features of this well insulated metal 3 split bedroom home includes over sized rooms and storage areas, pocket doors, Saltillo Mexican flooring, pull out kitchen cabinet shelves and large island in kitchen with breakfast bar and trash compactor. The insulated shop also has 220 outlets, water h"
"TURNING YOUR HOME DREAMS INTO A REALITY! 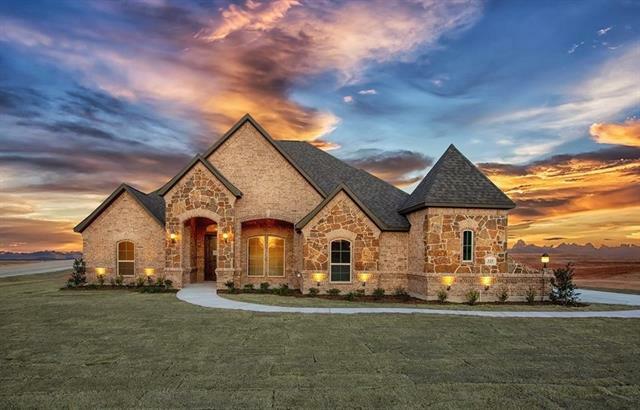 Doug Parr Custom Homes continues to grace Wise County with his rich craftsmanship, lavish attention to detail, exceptional energy efficient finishes all at an affordable price for the consumer! 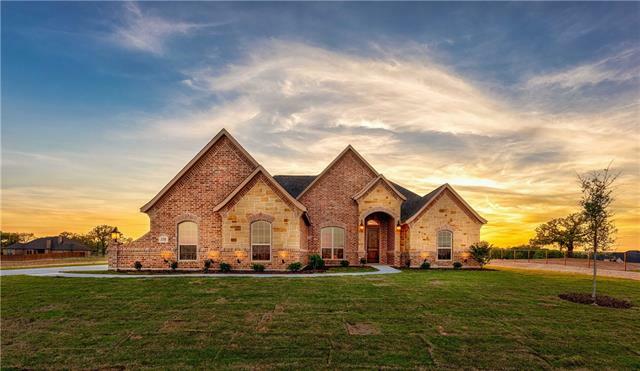 This home boasts a brick-stone exterior that will exuberantly display a traditional appeal. 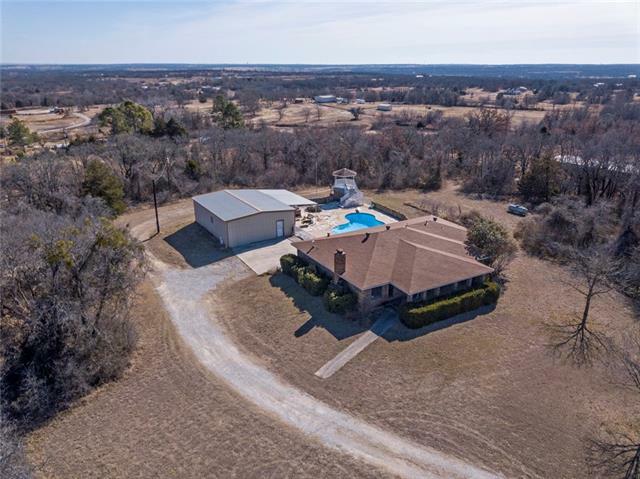 Positioned on a 1 acre heavily wooded lot to offer you the peace and serenity of country life, while being just minutes away from the Alliance Corridor where you will find f"
"4.14 ACRES with Custom-quality home. Escape to the country. Spacious 3 Bedroom 2.1 bath and bonus room. 2 story home on with beautiful setting. Work shop for handy man with easy access from the garage. Separate or second work area could be a she-shed or man-cave for homeowners, too. Home has small pond west of home and multiple trees in coveted Jamberly Hills. 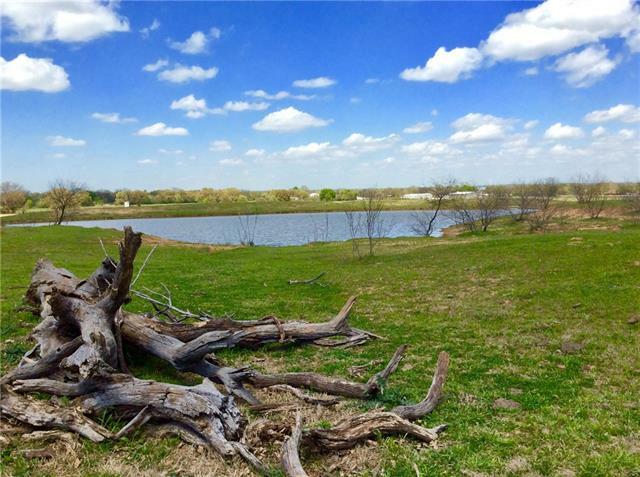 Very desirable location to live in the quiet country, but close to Fort Worth, Dallas area. Don't miss out on being in Paradise!" "SPECTACULAR CRAFTSMANSHIP. 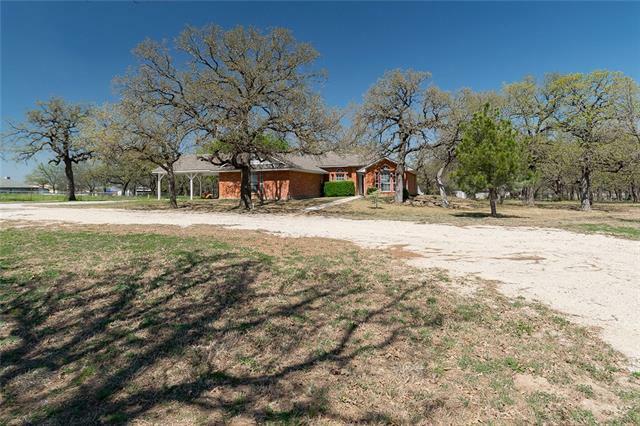 CORNER LOT ON 1 ACRE. NO HOA & NO CITY TAXES. 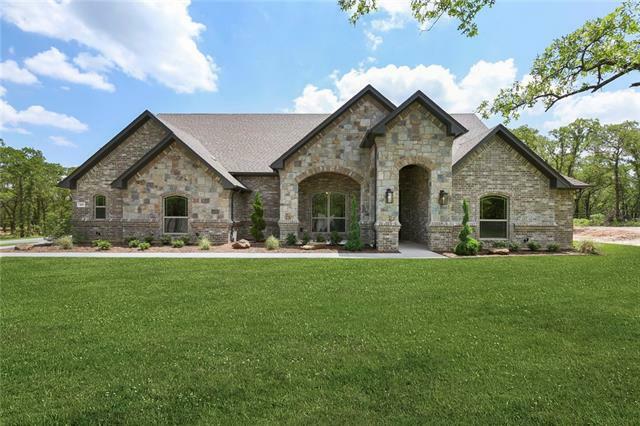 Elegance & Custom Features All the Way In Beautiful Country Setting! Stylish Flooring. Coffer Ceiling. Split Floor Plan For Ultimate Privacy. 4 Bedooms, Plus Study. Custom Built Cabinets, Extensive Moldings, & Granite Throughout Home. Stainless Appliances. Over sized Granite Island & Pendant Drop Lighting. Stone Firepl. Ultimate Spa Like Master Bath Features Double Shower, Custom Tiles. Incredibly Spacious Walk In Closet &"
"Gorgeous Ashlyn Home! As soon as you walk in you will fall in love with the amount of craftsmanship and heart is put into the home. This home has 4 bedrooms plus study & an open floor plan which is perfect for entertaining! Gourmet island, kitchen will have stainless steel appliances ,custom cabinets & granite counter tops. Spacious family room. Large master suite with luxurious bath and huge closet with seasonal racks. Elegant lighting & fixtures. 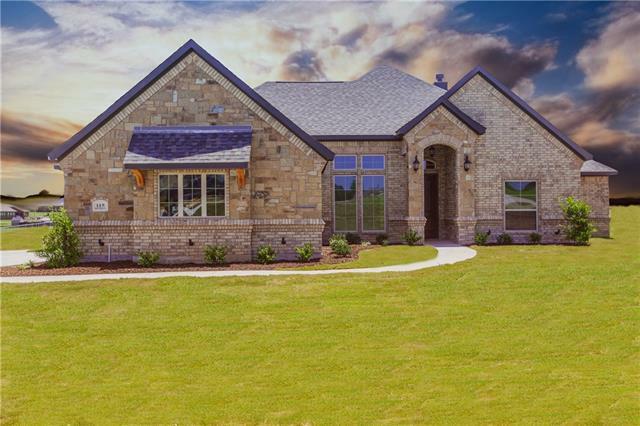 Large outside patio with fireplace for a breath"
"ONLY ASHLYN HOMES EXCLUSIVELY AT HIGHLAND RANCH - ALL ONE ACRE LOTS! BRAND NEW DEVELOPMENT! Come see this new 4 bedroom home with a study and 2 full baths with a 3 car garage separated & 2 fireplaces. Included are custom knotty alder cabinets, stainless steel appliances, granite throughout. This home will have an open concept to allow viewing the Family and Dining from the kitchen. 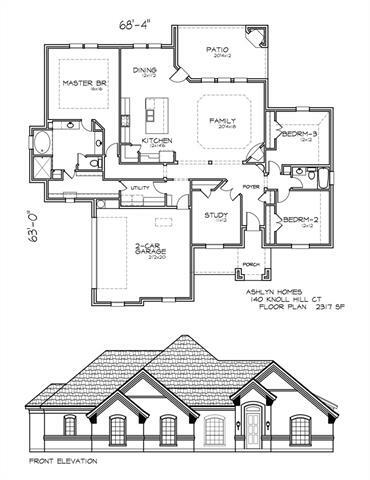 The master will have separate vanities, large garden tub and a large walk in closet. Two fireplaces will be includ"
"OPEN CONCEPT 3 BEDROOM 2 BATH HOME WITH POOL & 30X40 SHOP ROLL UP DOORS ON EACH END ALL ON 2.830 ACRES. All information herein considered reliable but not guaranteed. 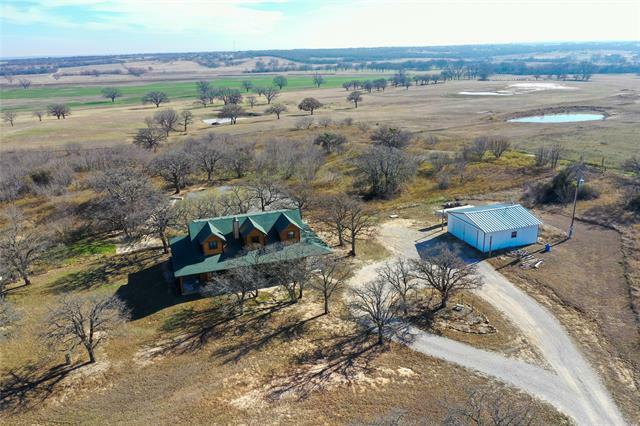 Buyer to verify all information on this MLS sheet, flyer or website including but not limited to schools, square footage, acres, taxes, easements and minerals"
"Barndominium on 10 acres in a great area. Large pipe pens,pasture,shelter and 130x230 riding area. 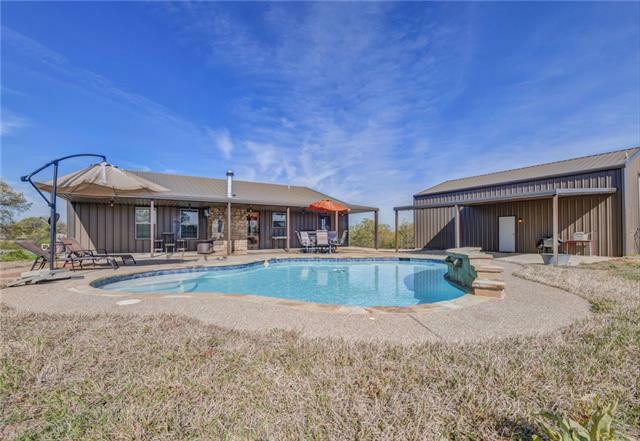 Property has a beautiful pond that you can enjoy while sitting out on your patio. The home has so much to offer including 3 bedrooms 2 bathrooms a living area a loft and a beautiful kitchen with plenty of cabinet space. 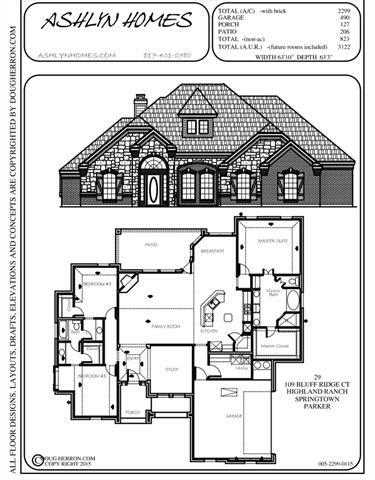 Master bathroom has a large jetted tub with slate walk in shower and second bathroom upstairs is jack and Jill. An attached shop garage is perfect for parking or use as a work shop." 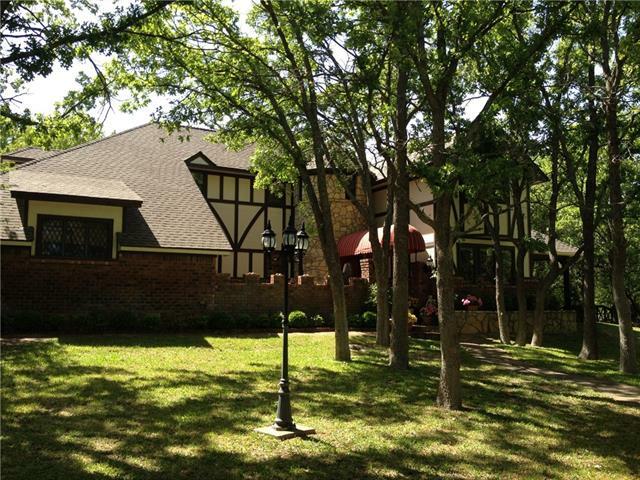 "HIGHLAND RANCH A MUST SEE! THIS BRAND NEW DEVELOPMENT OFF HIGHWAY 51. ALL THESE HOMES WILL BE ASHLYN HOMES ONLY !!! 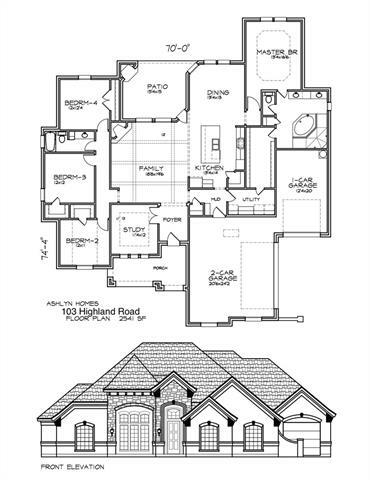 COME MAKE YOUR DREAM COME TRUE!This is a new Large Master suite with 3 split bedrooms and a large study. 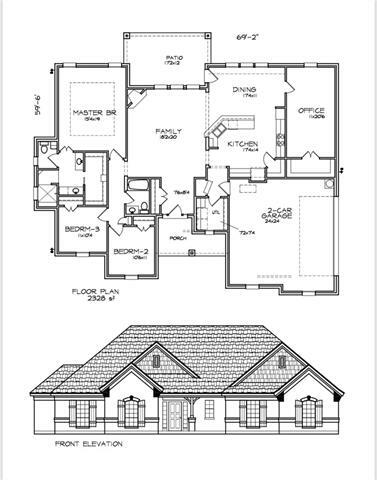 Two baths with a 2 car garage and a large outside patio. This home comes with a large breakfast bar along with an elegant touch of stainless appliances. The Master suite comes with his and her own vanity, a separate shower and a large garden tub. This home will have some "
"MAGNIFICENT MASTERPIECE! Do you desire craftsmanship that is second to none? Well you have found it in this beautifully constructed home built by Doug Parr Custom Homes! The masterful design and layout of this home, coupled with a sought out location, is a win in every department. Upon entry, you are welcomed with a completely open floor plan that is illuminated by an abundance of natural light. There is no lapse in detail or quality finishes: custom cabinetry, granite countertops, ceramic wood-"
"Gorgeous Ashlyn Home! As soon as you walk in you will fall in love with the amount of craftsmanship and heart is put into the home. This home has 4 bedrooms plus study & an open floor plan which is perfect for entertaining! Gourmet counter tops and island, kitchen has stainless steel appliances ,custom cabinets & granite counter tops. Spacious family room. Large master suite with luxurious bath and huge closet with seasonal racks. Elegant lighting & fixtures. Large outside patio with fireplace f"
"Gorgeous Ashlyn Home! As soon as you walk in you will fall in love with the amount of craftsmanship and heart is put into the home. This home has 3 bedrooms plus study & an open floor plan which is perfect for entertaining! Gourmet counter tops and island, kitchen has stainless steel appliances ,custom cabinets & granite counter tops. Spacious family room. Large master suite with luxurious bath and huge closet with seasonal racks. Elegant lighting & fixtures. Large outside patio with fireplace f"
"Stunning new construction custom 2328 sq ft home on 1.03 acres in Paradise. The luxurious craftsmanship of Doug Parr can be seen throughout this spacious 3 bedrooms house. Enjoy an open concept home with beautiful stained concrete floors, WBFP, granite counter tops, custom cabinetry and large office space. You will love the oversized kitchen island. Each bedroom offers a walk in closet. The bathroom has a soaker tub with a separate walk in tiled shower. This home has SS appliances, energy effici"
"Opportunity to live out in the country yet still close to town! No HOA. Come see this well maintained one owner home that's ready to move right in. 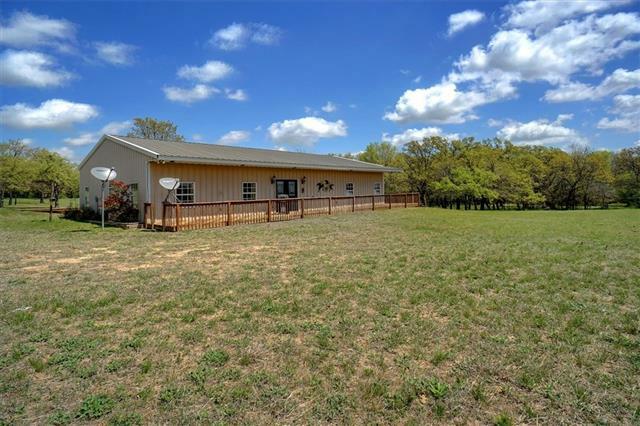 4 split bed, 3 bath home nestled on 2 acres. Canopy of mature trees throughout property for added privacy. Access 4th room from either interior or exterior door from car port area. Can be used as multigenerational, mother in law suite, guest quarters, man cave, or study. Insulated workshop with electric approx. 20 x 35. Covered patio space approx. 10"